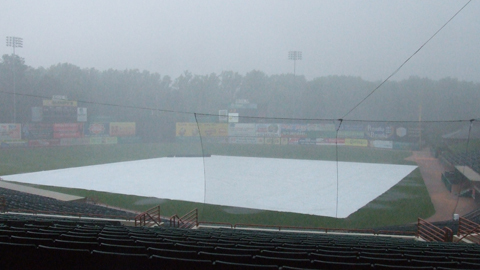 Richmond, VA - The series opener between the Baysox and Richmond Flying Squirrels was rained out Monday evening. The game will be made up as a part of a doubleheader Monday, July 22nd at 5:05 p.m. The series with Richmond will get started Tuesday, April 9th with RHP Tyler Herb on the hill facing his former team in his Orioles organizational debut. First pitch is set for 6:35 p.m. from The Diamond with coverage beginning 20-minutes prior on wnav.com, baysox.com and via the Tune-In App by searching Baysox.